Organic, alkaline, gluten free, fair trade, non-GMO, and vegan. Not made in a gluten-free facility. I’m not sure if ‘Amazing Grass’ is meant to be a punny play-on-words for Amazing Grace, but there is absolutely nothing amazing or graceful about this bar. This thing tasted like stale spirulina covered in chocolate; at least it was covered in chocolate but that’s like putting a new paint job on the Titanic and calling it good. That is not going to cut when much better options exist for the same cost, or even lower cost per gram of protein, and when there are bars with a much better flavor. On that note, this bar had the most sugar out of any of the bars I have reviewed and still managed to taste awful; a lose-lose. If you’re going to have lots of sugar at least taste decent. 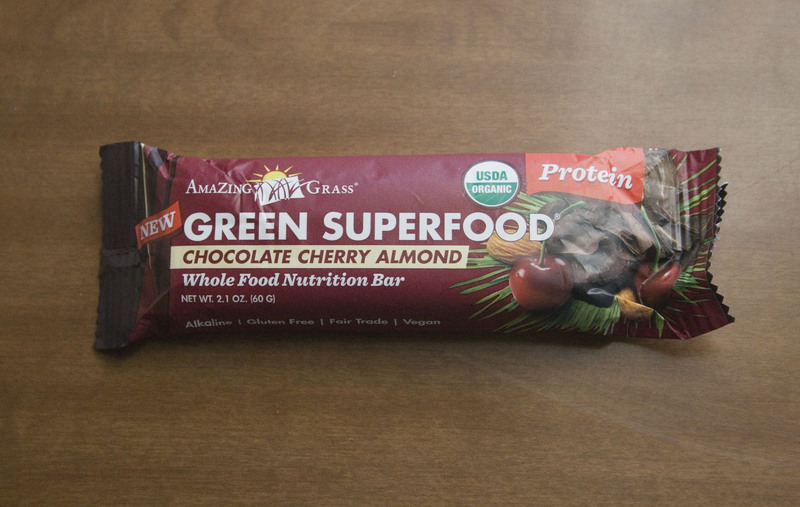 Seriously, this bar is 7 grams of sugar away from a Snickers bar (Fun Fact: Snickers is the “protein bar” of candy bars, clocking in at 4 grams and 2.16g of protein per ounce). At least the last Amazing Grass bar I reviewed was merely “nothing spectacular or memorable,” if this one came even close to that I would be happy, instead I just want the bad taste out of my mouth. This bar doesn’t even have the saving grace of being good for Burning Man; by being covered in chocolate it is the enemy in those kind of high-heat environments. By all measures, this bar is an utter failure. Save yourself $2.49 and pass on this one.